For some people it will never be achievable to approach betting or trading as investing, but for others willing to adopt a longer-term view and create new habits it’s definitely possible. sports, if you don’t plan to fail you will definitely not succeed. physical asset that you can call your own. loss, or a share price drops and you sell your stocks. owners hold on for long enough, they profit. investing circles having weak hands. few bets to begin with as this can get you hooked. not place the right bets at value prices, and for the right amount of time. course return a consistent annual profit. staking should you achieve this. 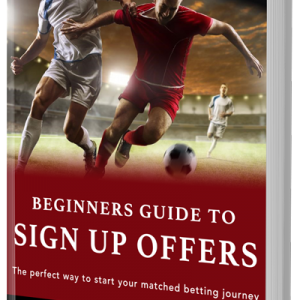 bookmakers will never make us a long-term profit. invest over a year and will stick to my percentage stake per bet or trade regardless, can make all the difference. mentioned be closed or limited. a great deal more. It’s just how a bookmaker traditionally operates. The tools we use to place the bets themselves will also massively help us achieve our goals. Now as a professional trader, and someone who bets with an investing mindset, I use the Betfair exchange to make my money. Also API software, but that’s a lot of detail for another blog post. banned or limited for winning too much. what I do, I can focus on running my strategies to a profit. Its Win Win for Betfair, as they only profit only when you do well with your betting or trading. commission will be applied by Betfair, but again that’s an entirely different blog post on its own. the money is available within the market. investing over a longer period, it’s highly likely this type of sports investing is not for you. me an email to ryan@exponentialbet.co.uk and I’ll get back to you asap.